Editor's Note: This young person was given a brainstorming worksheet on "Space" at school. 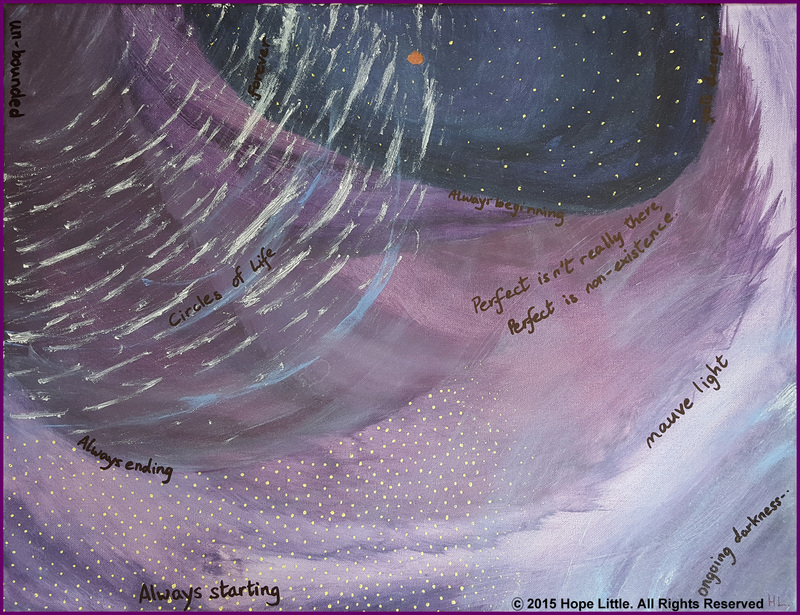 What she wrote become this artwork plus the poem, below. Click to see a full-sized image. Space is unbounded mauve light. Circles of life--different life--other life. Always starting, always beginning, always ending. Planets. Stardust. Fractions of space. (c) 2015 Hope Little. All rights reserved. Printed with permission. From the April/May 2015 issue of Michael Laughrin's North American Jyotish Newsletter. Click to subscribe to this free Jyotish newsletter.